Earlier last year I joined Annie’s Creative Studio team as an online instructor and expert within their Quilting & Sewing category. From filming each episode to seeing them live, the entire process has been amazing. My classes range from fun projects that can be made in just a few sessions at the machine to easy tips that will improve your everyday sewing. My goal is to keep you smiling while learning and feeling confident at your machine! 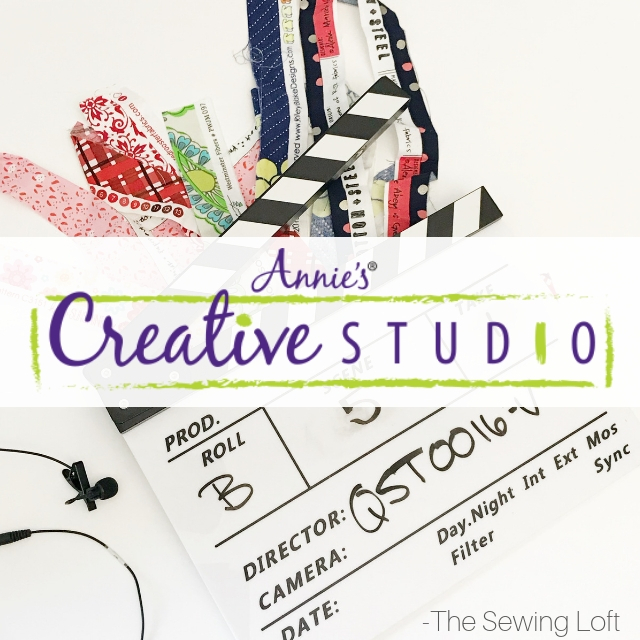 If you are not familiar with Annie’s Creative Studio yet, now is the time! 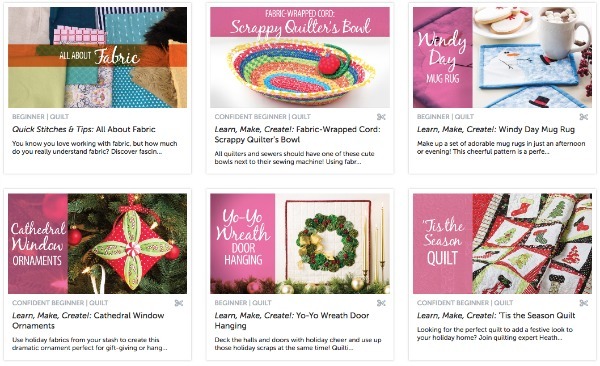 Seriously, no need to wait because Annie’s Creative Studio is an online video streaming service that offers 24/7 online craft instruction, tutorials and patterns. They offer nine different programs, share monthly giveaways and release new episodes every week. All of Annie’s Creative Studio instructors share useful tips and knowledge to help you create gorgeous and useful items! Members can view all episodes at any time, and as many times as they wish. The best part is you can even watch in your pj’s! I promise, it’s a judge free zone. Here is a quick snap shot of a few of my current classes. I highly suggest that you give the free trial run a try. With so many different classes to choose from, I’m confident that something will spark your creative juices! Okay, let’s talk about that giveaway. This month they are celebrating their very first birthday in style! To help out, I’ll be hosting a live chat on their Facebook page at noon today (eastern standard time) to share even more information about the Mega Birthday Bash Giveaway. The photos gives you a quick snapshot of the goodies that one lucky winner will but if your anything like me you will want to enter now so you don’t forget. 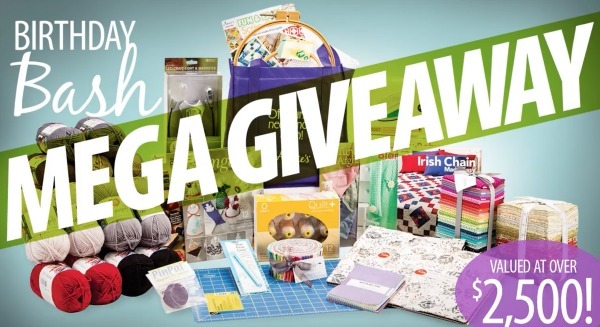 One lucky winner is going to receive over $2,500 worth of all sorts of supplies to keep their creativity flowing all year long! They range from yarn, fabric, thread, floss, tools and even gadgets. The goodies are beyond amazing. Alright, more to come during the Facebook Live at 12 noon today. Hope to see you there! Do you want to learn more about sewing and quilting?